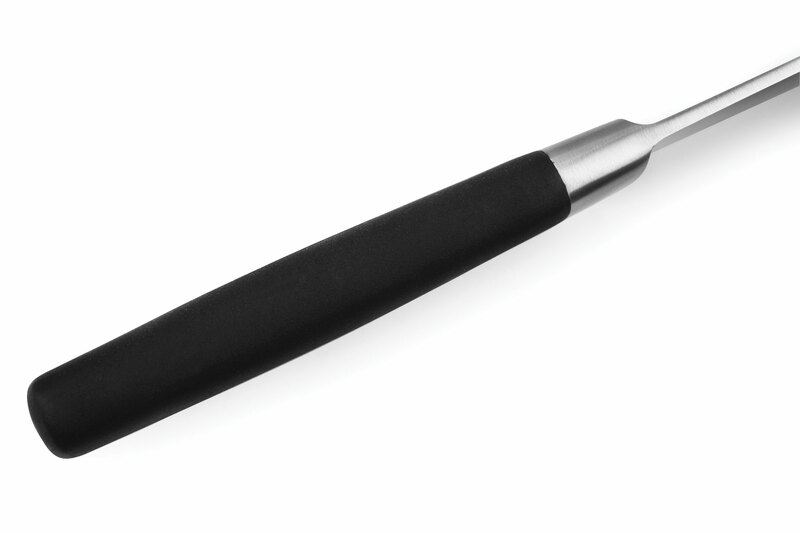 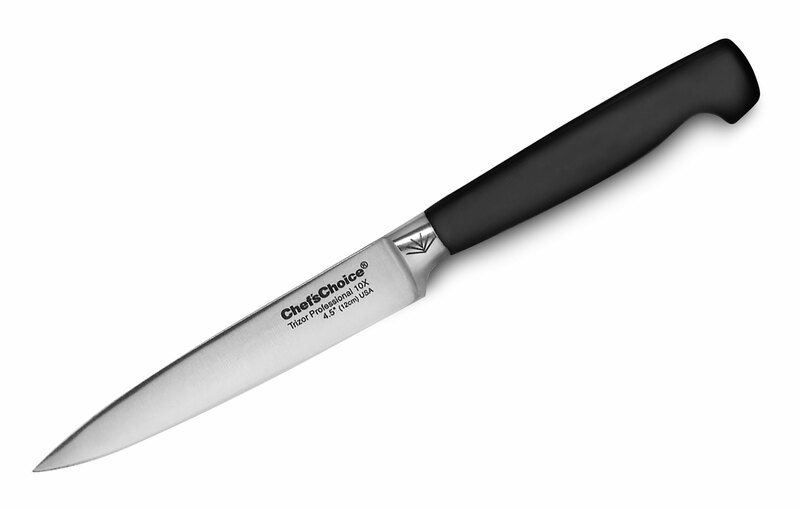 The Chef's Choice Trizor Professional Utility Knife designed for a multitude of small tasks where more precise cuts are needed, such as trimming broccoli, green beans, or other smaller vegetables. 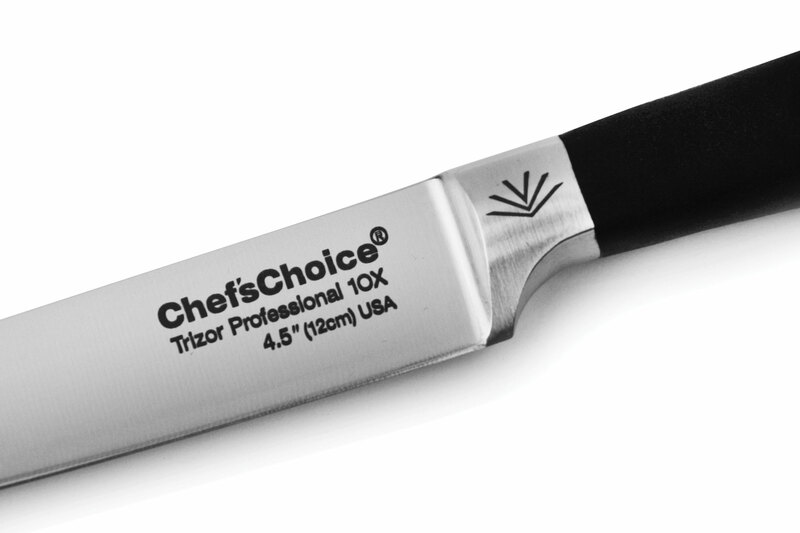 Chef's Choice Trizor Professional is fully forged and handcrafted in the USA. 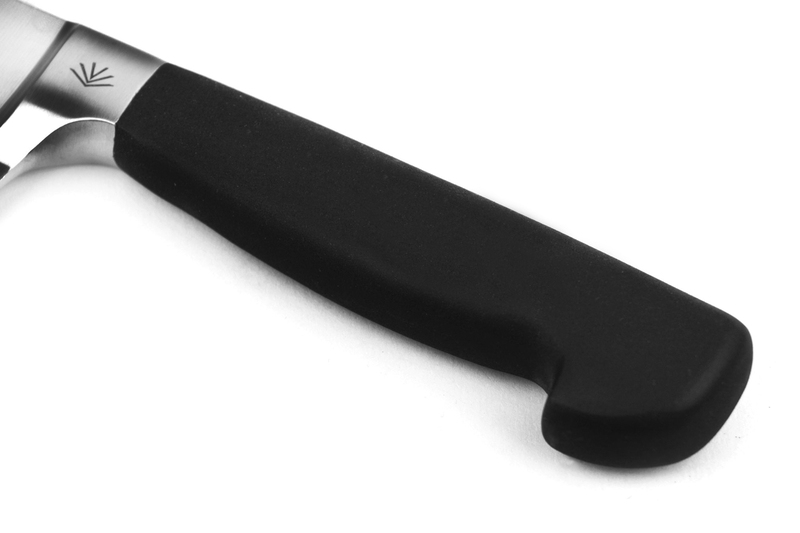 The unique Trizor steel has higher tensile strength and hardness than conventional cutlery. 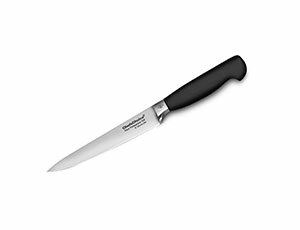 Measured at Rockwell 60 on the hardness scale, it is the key to sharper edges and superior edge retention. 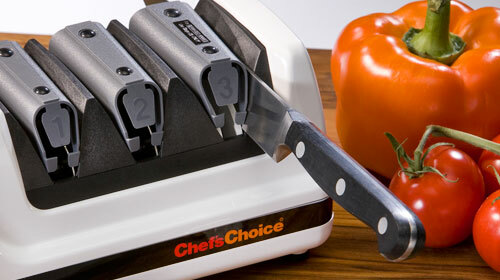 Trizor Professional knives stay sharper up to 10 times longer. 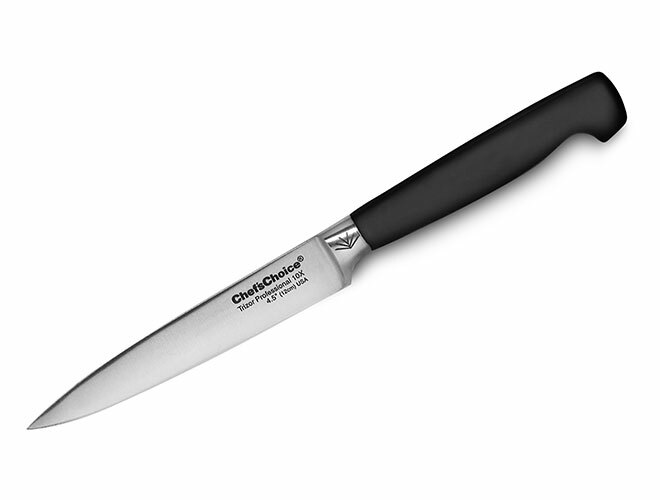 The bolster is uniquely tapered, allowing sharpening of the full blade so that it maintains its optimum shape for life. 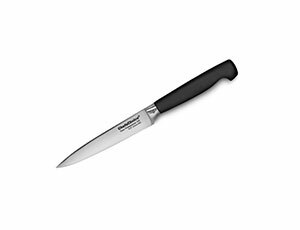 The textured polymer handle is seamlessly formed onto the full-length tang, eliminating bacterial contamination and ensuring a superb feel and non-slip grip, whether wet or dry.